Dashboard > Plugins > Installed Plugins > ELEX DHL Express/DHL Paket WooCommerce Shipping with Print Label > DHL Express/DHL Paket/DHL Ecommerce. 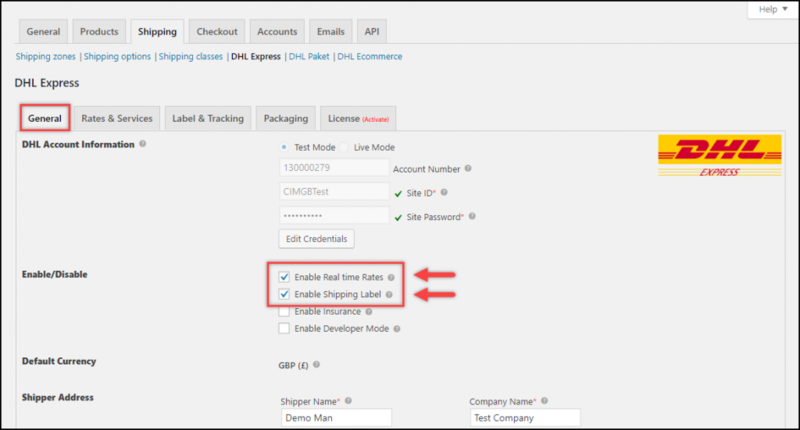 To test accessing of DHL Express real-time rates and shipping label generation, enable respective settings in the General tab of the plugin settings, as shown in the screenshot on the left. Configure DHL shipping services in the Rates & Services tab. 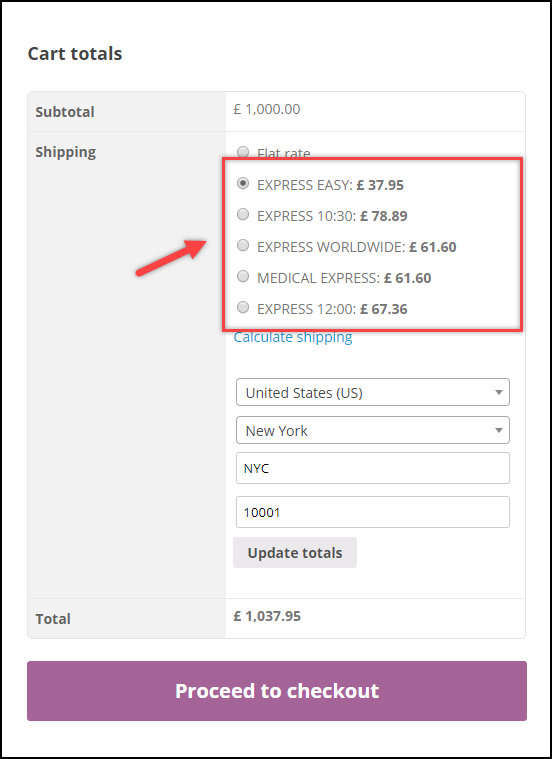 You can enable or disable the desired shipping services, set up price adjustments, and other relevant settings. Update the shipping address on the shipping calculator to access the real-time rates and services from DHL Express. In the individual order page, scroll down to find DHL Express meta-box. For more details, check out the Label Generation demonstration in the setting up documentation. 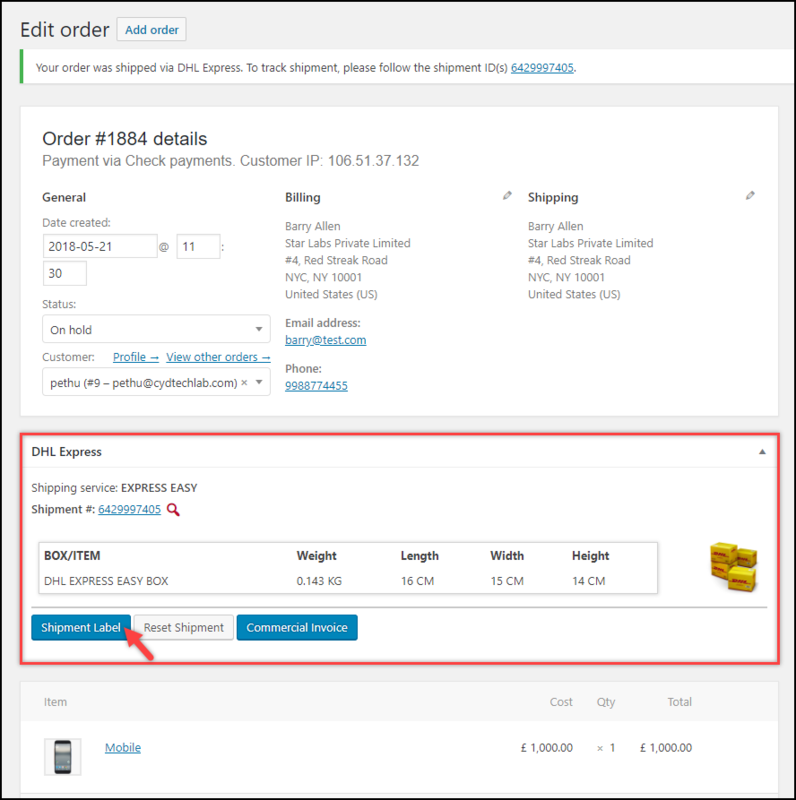 Finally, click on Shipment Label button to proceed with printing the shipping label. 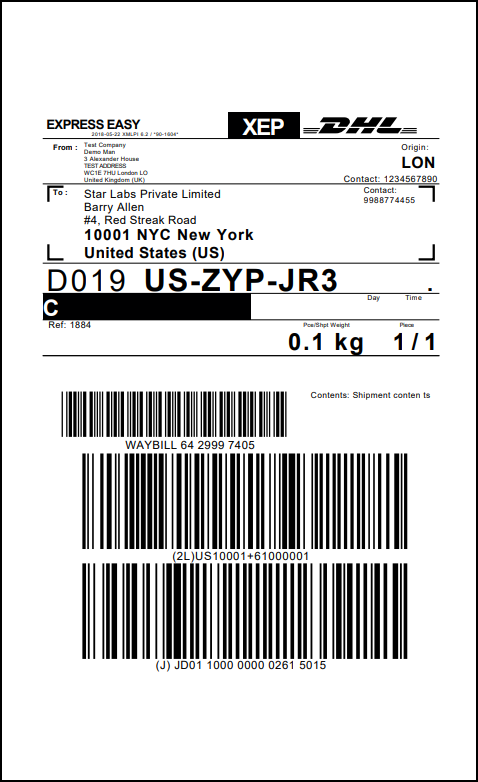 A sample screenshot of DHL Domestic Shipping Label is shown on the left. Watch the video to know how to bulk print DHL Express labels. 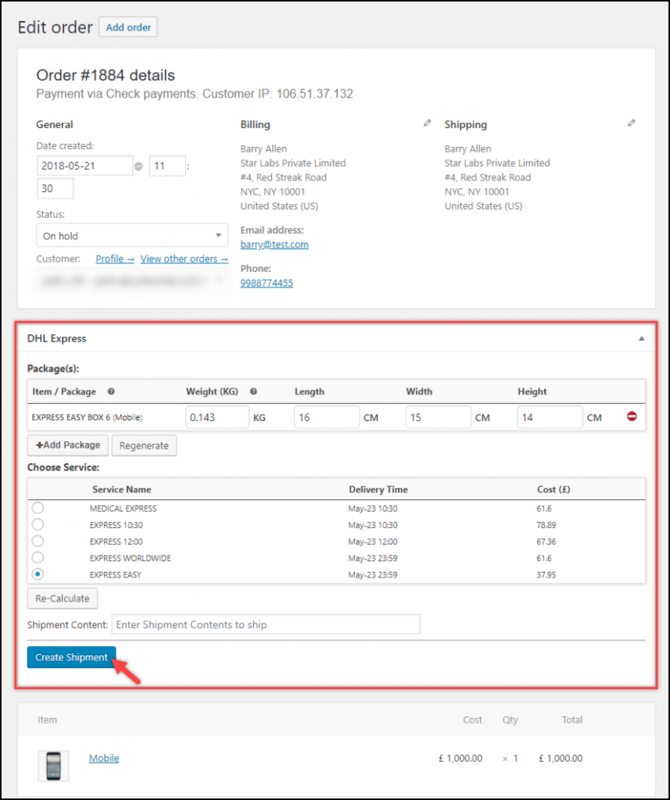 You can create shipments and generate shipping & return labels automatically using the auto-generate & email label add-on. The add-on will also allow you to send an email notification to the shop owner and customers. Once the add-on is installed, you can find a new tab in the parent plugin settings as “Auto Labels Generate Add-On”. Watch the video to know how to auto-generate and email DHL Express labels. 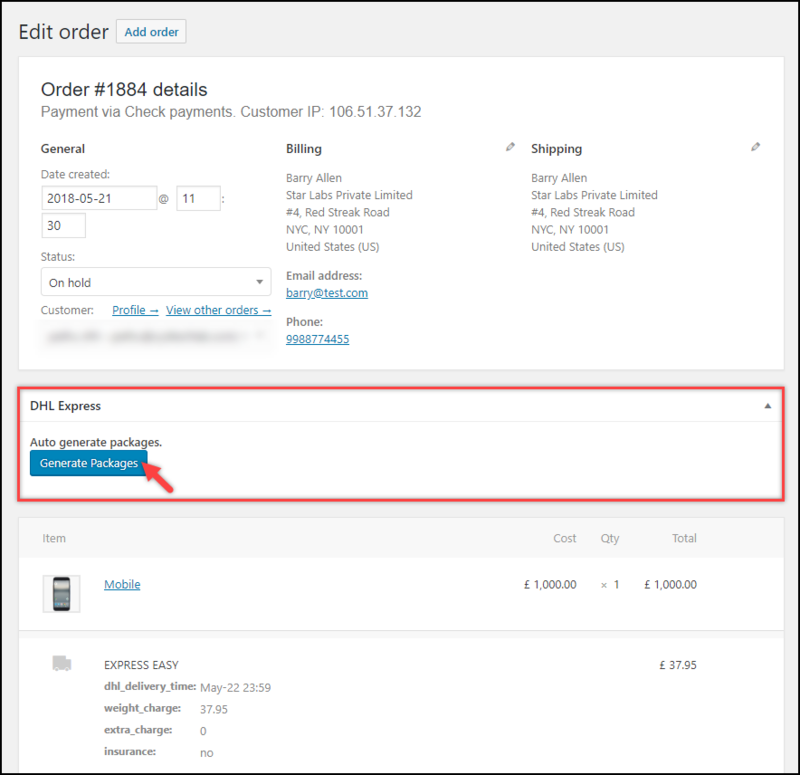 In the same way, you can configure DHL Paket and DHL eCommerce as well. For DHL Paket, refer the DHL Paket setting up documentation for a step-by-step guide. And for DHL eCommerce, refer the respective DHL eCommerce setting up documentation.